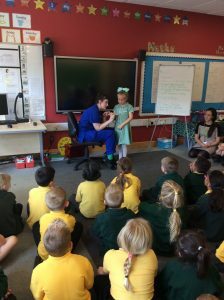 We have had a great start to Year 2 so far and we have been very busy! 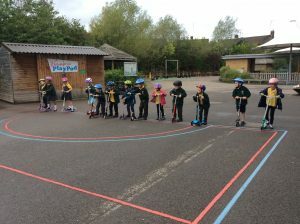 We have already had: visits from Brunel and a nurse called Emily who taught us all about her job; scooter training so now we are safe to scoot and we started our weekly recorder lessons. 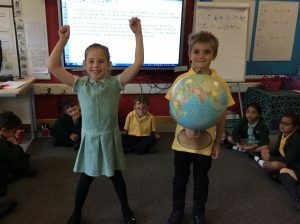 In our Reading and Writing lessons we have been using our acting skills. 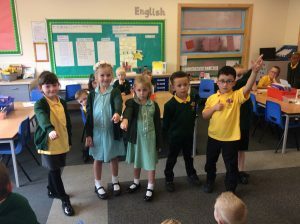 We have been learning to retell a losing tale and have had a go at acting as some of the characters from the story. In our Writing lessons we have been learning to punctuate sentences correctly and up level sentences to make them even better! We have also just finished writing our stories based on The Magic Finger. We are trying hard to use capital letters, finger spaces, noun phrases and full stops in our writing. Next week, we are starting to write a non-chronological report on Brunel. Good job we had a visit from him a couple of weeks ago so we already know lots of facts! 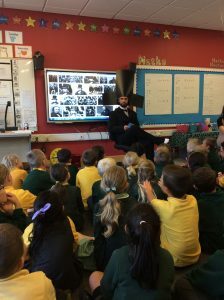 Also, we have been looking at plenty of inspirational people as part of our topic, such as: Kandinsky, Florence Nightingale, Louis Armstrong and Bob Marley. We are excited to learn about influential people as part of ‘Black History Month’ that starts on Monday. 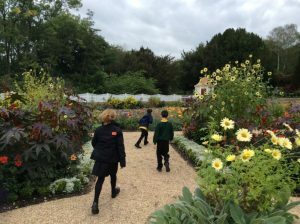 This week we visited The American Museum & Gardens, near Bath. The visit focused on the cultural diversity of the USA and Native American cultures in particular. 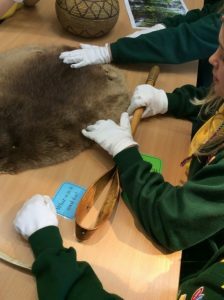 Firstly, the children explored the exhibits on an information hunt. This showed them about life for Native Americans and settlers in the 1600s-1800s; the routes and methods of travel that the Europeans took and the places that they lived in. 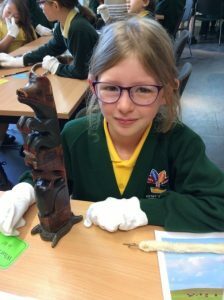 Next, was an artefact handling session. 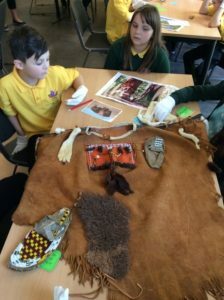 The children wore gloves to protect the historical items that ranged from moccasins to arrows and buffalo horns to an ancient pestle and mortar. 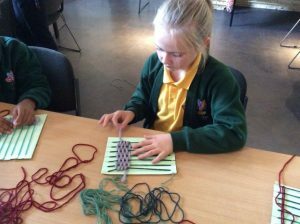 After that, we relaxed with a spot of weaving before lunch. Finally, the groups explored the magnificent gardens and more exhibits inside the museum too, where the knowledgeable staff shared their passion for American history. This certainly inspired the Year 5 learners, who listened intently and asked some fantastic questions. 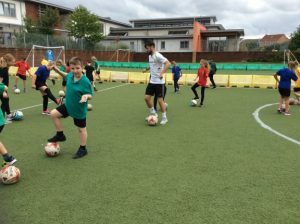 All in all it has been a fantastic start to the new school year and we look forward to much more learning opportunities in the coming weeks. Next week, we will put our classification skills into action on our bug hunt on Rodway Common! 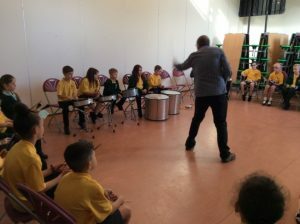 Y4 Blog – Invasion and Union BANG DAY! 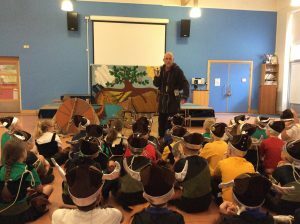 Y4 welcomed Viking Baldbeard to Kings’ Forest this week and learned a few Viking myths. This included how the world began from a giant escaping an ice mountain and how Thor attempted to beat the giants with only his strength. 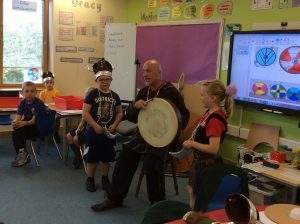 We were very proud of the children’s behaviour as they listened intently throughout Baldbeard’s storytelling and joined in with him. 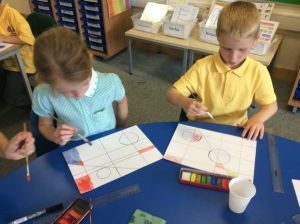 The children showed their creative side by designing and decorating their own Viking inspired shields during the afternoon. 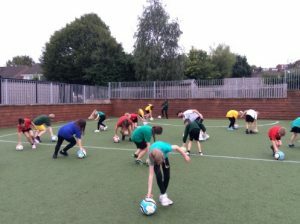 It was lovely to see how many children were helping each other out to either give advice or simply to tidy up. Mole class even used their bodies to re-create the shape of a Viking’s longboat within the classroom. 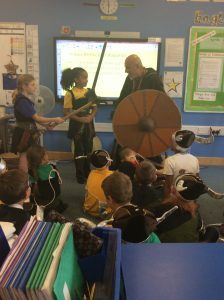 Some children took the roles of the shield (to protect the Vikings) very seriously! We are all very excited to explore this topic – children and teachers alike!